QualitySolicitors, the UK’s leading network of solicitors, announces that two firms in the network are nominated to receive the prestigious Law Firm of the Year* accolade at The Birmingham Law Society Legal Awards 2015. The Birmingham Law Society Legal Awards have been recognising the best of the region’s legal talent for over a decade and are now in their 14th year. The key criteria for the highly respected Law Firm of the Year award include exceptional client care processes, ethics, commitment to staff and achievement of business objectives. Both Talbots and Davisons fall into the ‘5 to 15’ partners sub-category of this award, and are competing against two other local firms. The winners will be announced at an awards ceremony on Thursday 19 March 2015 at the International Convention Centre. QualitySolicitors has introduced a range of initiatives to improve customer service, such as free first advice, fixed fee consultations, Saturday opening and a clear price guarantee. The firm is also piloting a new online platform (initially targeted at clients seeking divorce advice) which allows clients to review and sign off forms online and send scanned copies of personal and financial documents from their own computers. 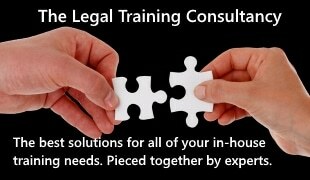 This is a first for the legal industry and saves both clients and law firms time and money.